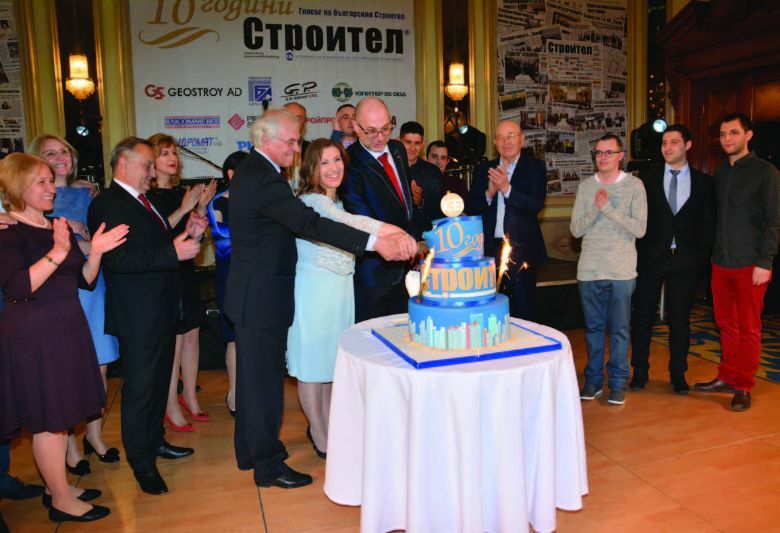 On 3rd April 2019 will be 10 years since first edition of „Stroitel“ newspaper – the publication of the Bulgarian Construction Chamber (BCC). The media will celebrate its jubilee with a cocktail at „Sofia Hotel Balkan“. The Board of Directors and the team of „Stroitel“ newspaper will celebrate the newspaper’s 10th anniversary together with their partners and friends. To attend the event are invited the management of BCC, the regional chairpersons of BCC’s ROs, the advertisers, representatives of central and local authorities and of employers and branch organisations, trade unions, colleagues and other persons whom the publication has worked with over the years. Together with them, the team of „Stroitel“ newspaper will draw a balance of the past time, will cut into pieces the holiday cake and will make a wish for at least another 10 by 10 years ahead. Each guest at the event will receive a gift by the media – a specially prepared jubilee almanac „10 years „Stroitel“ Newspaper“, with records of the history – from creation and development of the media, the successful organised over the years forums, the events covered, the awards, partnerships, creative activities. The book-album is a collection of events-accents, from then impressive scope of activities, realised by the team of „Stroitel“ Newspaper. 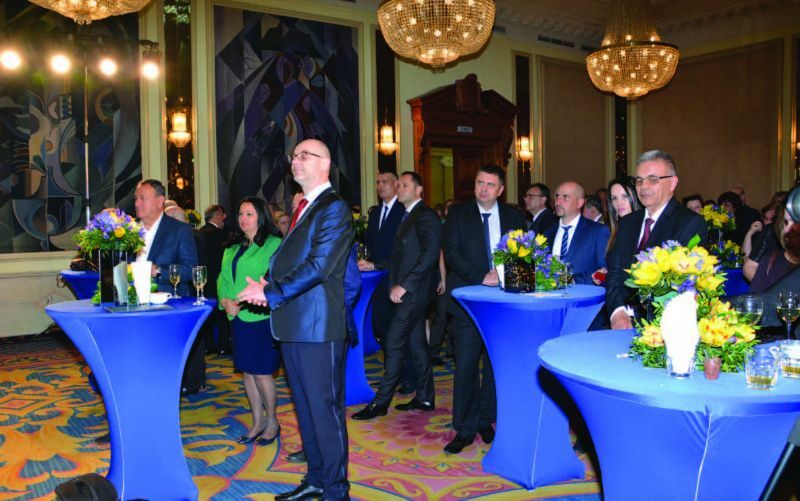 Since the printing of the first edition, until now, the newspaper has not ceased following its priority № 1 – to be most useful to useful to all the representatives of the construction sector, but also – to the institutions and the society. The reporters had always been on the front line and had been gathering information on the spot. Regardless of the challenges, the publication is keeping to pursue and present an up to date and accurate information and observing the principles of ethical journalism. Thus, over the years „Stroitel“ Newspaper becomes a recognizable brand, that is associated with a quality and objective media, receives number of awards and is a desired partner. The Board of Directors (B of D) and the team express their gratitude to the companies that support all the initiatives related to the 10th anniversary of newspaper – „Glavbolgarstroy Holding“ AD, „Geostroy“, „GP Group“ AD, „Jupiter 05“ OOD, „Planex“ EOOD, „Raicommerce Construction“ JSC, „Pipe systems“ AD, „Stroyproduct“ EOOD – Pleven, Euromarket Group, „Midia Group Holding“ AD, „Hydromat“ OOD, „Karo Trading“ OOD and „Groma Hold“ EOOD.